Some time ago, I hooked our Virtual Volume (VVol) capable storage array up to a vSphere 6.5 cluster. I did a few preliminary tests, such as adding the VASA (vSphere APIs for Storage Awareness) Provider, creating the VVol datastore, observing the creation of the Protocol Endpoints (PEs), and of course creating some virtual machines as a set of VVols. All went flawlessly. Then, like many other lab tests, I got distracted by a number of other things. 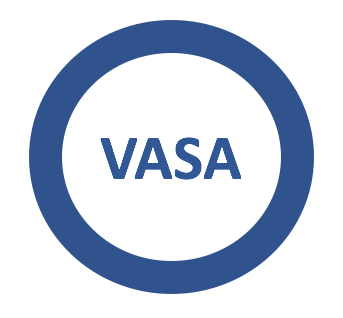 In the meantime, the storage array vendor announced support for an updated VASA version, and we had the storage array updated to accommodate this. I picked another newly created cluster running vSphere 6.7, added the VASA Provider, VVol datastore, PEs and everything looked great. After a while, I went back to the vSphere 6.5 cluster, and noticed that my VVol datastore was inaccessible, and my VP registration was offline. I since learnt that in order to support multiple vCenter Servers registering to the same VASA Provider on a VVol array, an external Certificate of Authority is needed and that all vCenters much register with the same cert. Otherwise, as was in my case, an internal vCenter certificates is used. Then as a different vCenter tries to register to the VP, they step on each others certs. Once I learnt this, I decided to try to get my 6.5 environment reconnected. On trying to remove the VP via the vSphere Client, I hit an error, and was directed to look in the logs for more details. This is what i wanted to talk about in this post. 2018-08-02T13:50:47.969Z [pool-14-thread-2] DEBUG opId= com.vmware.vim.sms.provider.failover.ProviderFailoverEngine - [updateActiveProvider] Flush event queue for the provider. Fortunately, I found a procedure that, as far as I am aware, is not available publicly. These are the steps I followed to remove my original vCenter registration and resolve the situation where I appear to have a ‘stale’ VP present. I’m assuming this can happen for a number of reasons, which is why I decided to post the steps here. My best guess in this case is that my vCenter was known, but no longer trusted (or something to that effect). SSH to the vCenter Appliance and login as root. On the vCenter server, block access to the IP address of VP that you cannot remove via static routes. When the SPS services comes up next time, vCenter will mark the VP as Offline as it can no longer reach it. Wait for the SPS service to fully start. This can be checked in the vSphere UI, under Administration > Deployment > System Configuration > Services. Try again to deleted the problematic VASA storage provider entry via the vSphere client UI. Since it is now offline, it should be removable. This now worked for me. On the vCenter server, unblock the route to the VASA storage provider that we previously blocked. 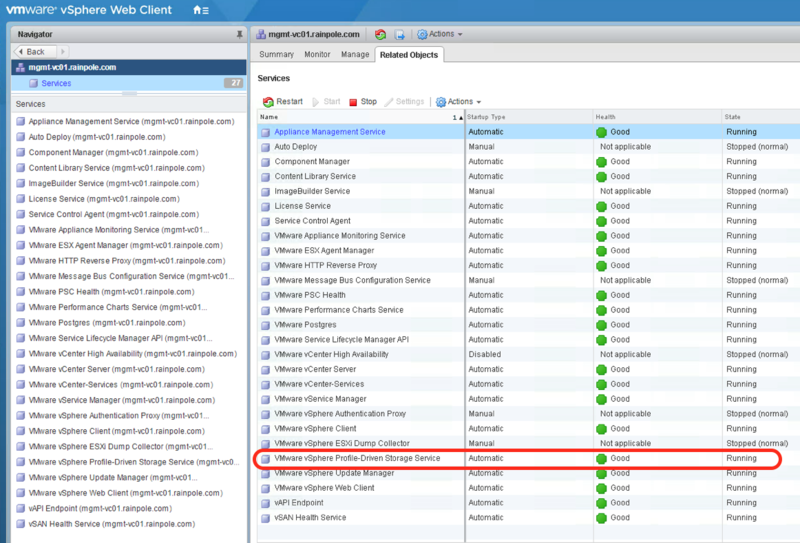 On the vCenter server, stop and start the profile driven storage service (SPS) once more. Wait for the service to fully restart. Now add back the VASA Storage Provider via the UI. This should now work as well (it did for me). Note that this issue should be addressed in some upcoming updates to vSphere, and that these steps should no longer be necessary.